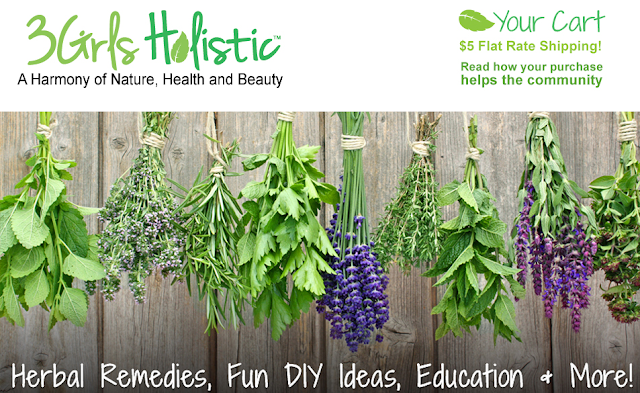 3 Girls Holistic: Eco-Skincare and More...Even a Way to Calm Your Kids! I always have my radar on for great green finds and although I am crazy busy these days, (all good and who isn't right?) I had to take a minute to help you focus in on a great eco-friendly and non-toxic brand of skincare I am totally intrigued with. Co-Owner Melonie McCoy along with Founder and Creator Amy Paolionelli (love that name!) have a hidden gem on their hands that before too long will be on the lip of every mom, mom to be and even some eco-dads lips. 3 Girls Holisitc is online now as well as in select locations including Motherhood Maternity Stores and it is a one stop shop for safe, skincare for every need your family has. Although their line is not certified organic, their products contain organic ingredients and are 100% natural (I know, I know...what does that mean?) and that means that their products are so pure and free of toxins you can actually eat them. You can even enter to win their monthly giveaway and earn 10% off on your next order just by signing up for their newsletter. To sweeten the products even more, they even offer a flat rate of $5 for shipping. Love it!